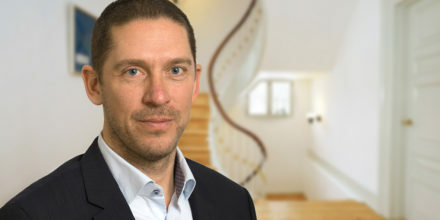 As part of a move towards a more centralized business strategy, Berendsen has established a new central CIO function. The new Group CIO required a consolidated overview of the current decentralised setup of the IT organisation, the application landscape and the project portfolio. This included a better understanding of the Business program needs and a potential roadmap of how to deliver these. Using our framework and pragmatic approach, Quorum lead in an eight-week sprint, analysed the current situation, developed a future design and designed a roadmap on how to achieve this. Quorum worked in partnership with the IT leadership team from day one, through interviews and a series of 1 day face to face workshops. We also gathered input from key stakeholders on the Business Programs, supported the design of a high-level IT target model, future IT organisation and digital direction for Berendsen IT. Together with the IT leadership team, we defined a Roadmap for the transformation of Group IT into a business oriented organisation, priority model and roadmap for the business programs. Berendsen IT gained a clear direction for the next 3 years, including a short-term Next Step plan – immediate action steps for programs and IT organisation. The roadmap presents clear messages to the board of directors and the business management teams. The whole workshop process ensured ownership in the IT leadership team and a better understanding of strengths and weaknesses in IT capabilities and IT application landscape. Berendsen is leading within European textile, hygiene and safety solutions business with 15.000+ employees, operating 140 plants in 16 countries.